Curiouser and curiouser… but then again we guess it makes sense that the guest who has been coming to Westworld for over 30 years should one day have a sit down with the co-creator of the park. Sunday’s “Contrapasso” episode will see The Man in Black (Ed Harris) meeting an unlikely ally — in the form of park creator Dr. Robert Ford (Anthony Hopkins) — in his quest to discover “something true” at the heart of the maze he’s been chasing. While we’re still never quite sure if the events we’re watching are unfolding along the same time line (has the William is a younger version of The Man in Black theory already been busted? ), we’re rather excited at the idea of a sit down between these two enigmatic and inscrutable personalities. Will Pariah spell punishment for the hosts, or the guests? We’re not sure yet, but we can tell you that William, Dolores and Logan will find themselves recruited for a dangerous mission while there. Yep, we doubt Dolores is going home to the ranch any time soon. HBO has provisioned us with a small collection of interesting photos from Sunday’s episode (with the promise they’ll send us some more after the episode airs). We note the creepy AI boy (who we’re assuming is a host version of Ford) makes a reappearance. In another still, Dolores appears to be having her fortune read. Another sees her brandishing the gun she found buried at the ranch. 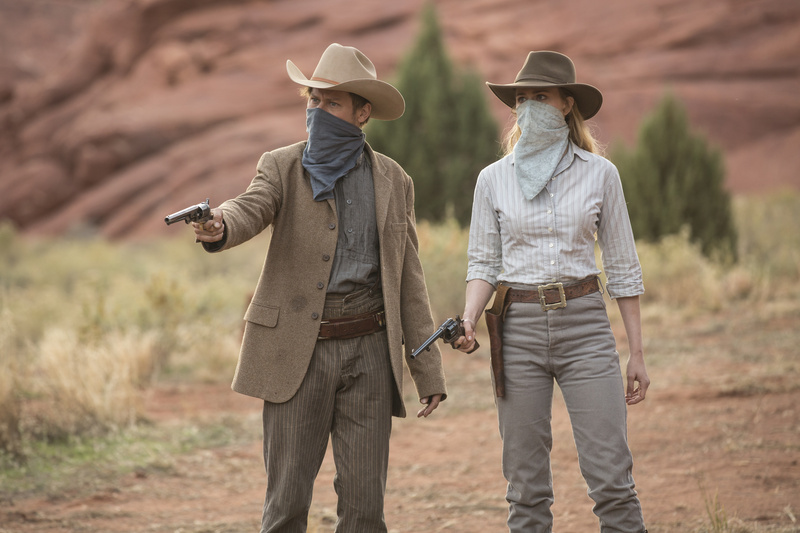 Will pulling the trigger come a little easier now that Dolores has already broken her programming? The trailer for the episode ahead is even more interesting, but we won’t spoil it here. Catch it below for more clues to Sunday’s episode. “Contrapasso” airs Sunday October 30 (9:00-10:00 p.m.) on HBO.